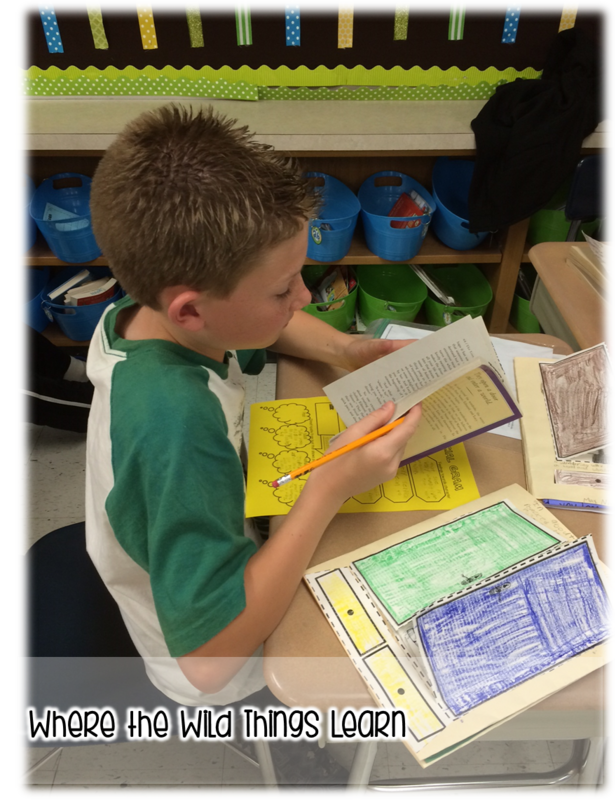 Wrapping up the Year with a GOOD Book! 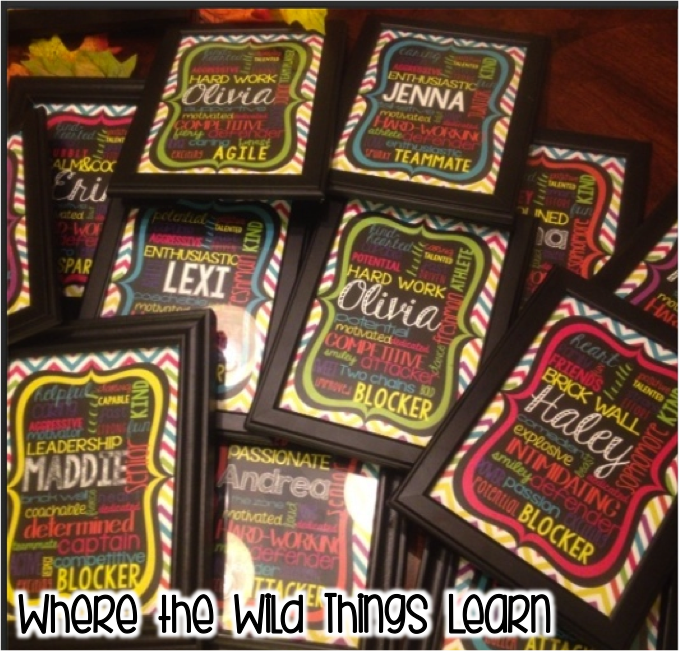 We are in the final countdown over here Where the WILD Things Learn… 5 days!! Our state testing is usually 3-4 weeks before school lets out, and many teachers struggle with what to do those last few weeks of school once testing is over. 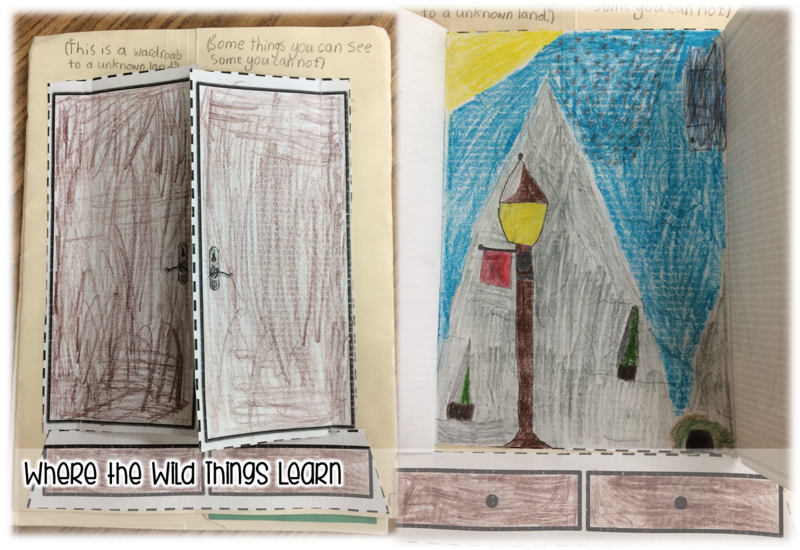 You want meaningful lessons that review previously taught skills, but you want them to be fun and engaging since the kiddos are bouncing off the walls. PLUS, they need to be flexible due to all of the craziness of the last few weeks. 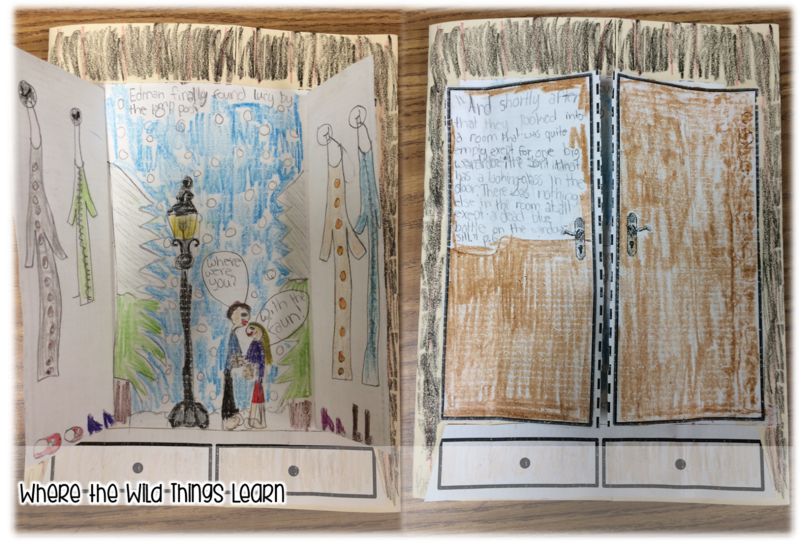 The last few weeks of school are always spend reading The Lion, the Witch, and the Wardrobe in my classroom. It is an absolute classic, and every year my students all LOVE it. We have so much fun building our Fantastic Folder, and they are so PROUD of their finished work! Here are some photos of us in action the last couple of weeks with this unit! 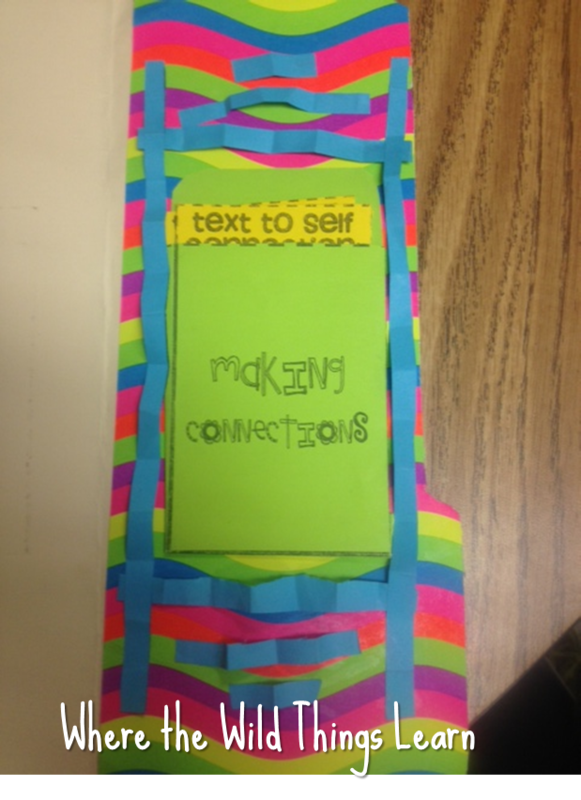 My students did a PHENOMENAL job with their setting covers this year. I had to take so many pictures! 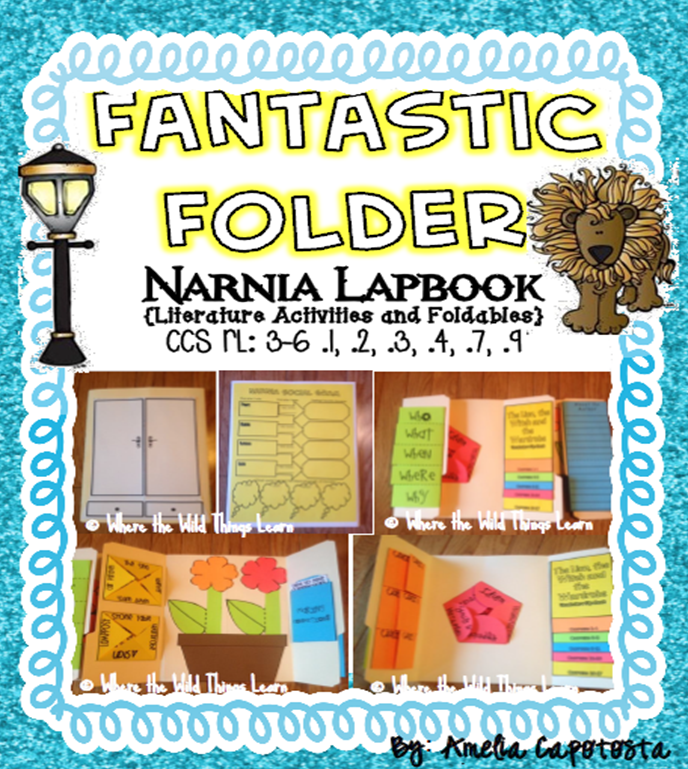 The Fantastic Folder gives us 10 workable "flaps" to glue down interactive foldables and cover so many topics such as: Setting, Characterization, Theme, Summarizing, Cause/Effect, Figurative Language, Symbolism and Imagery, Making Connections, Author Study, Vocabulary, and Compare/Contrast! 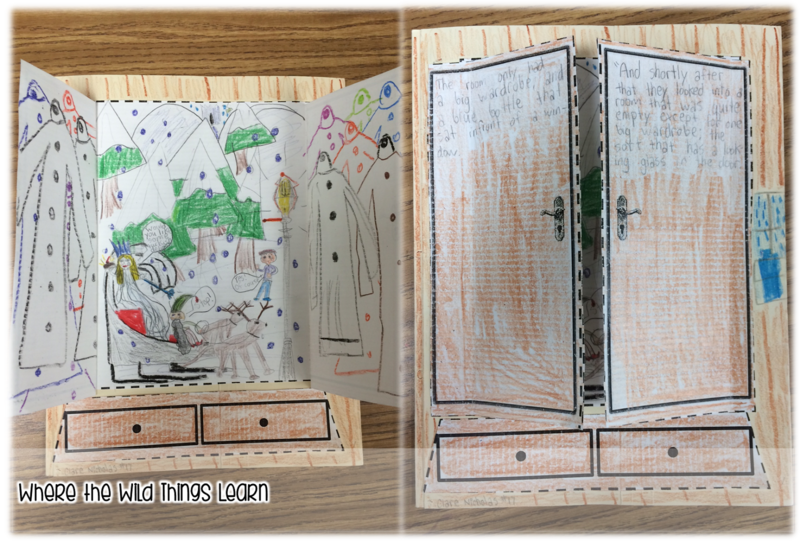 If you're interested in doing this wonderful unit in your classroom, too, you can pick it up from my TPT store by clicking here or on the picture below! We will be finishing up the book on Friday, and watching the movie! I always serve powdered donut holes and chocolate milk while we watch the movie so we feel like Edmund meeting the White Witch and having Turkish Delight! 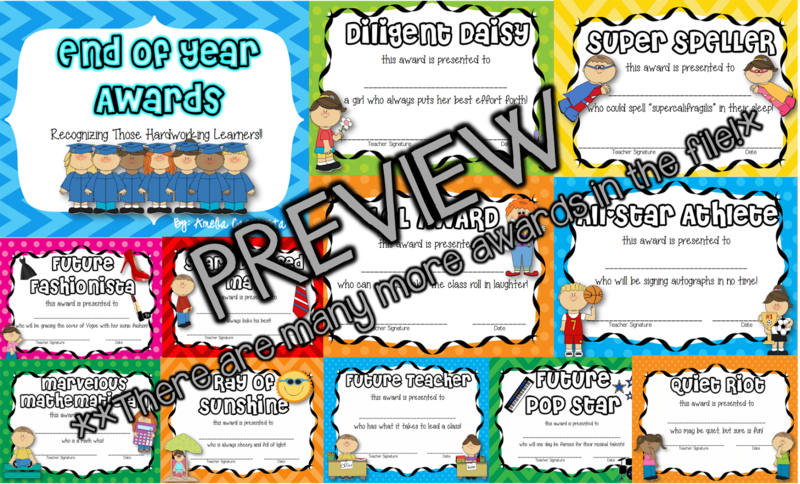 We also do a great compare/contrast activity! Then, we still have 3 days next week full of craziness! So what will we be up to? Here's a few things! 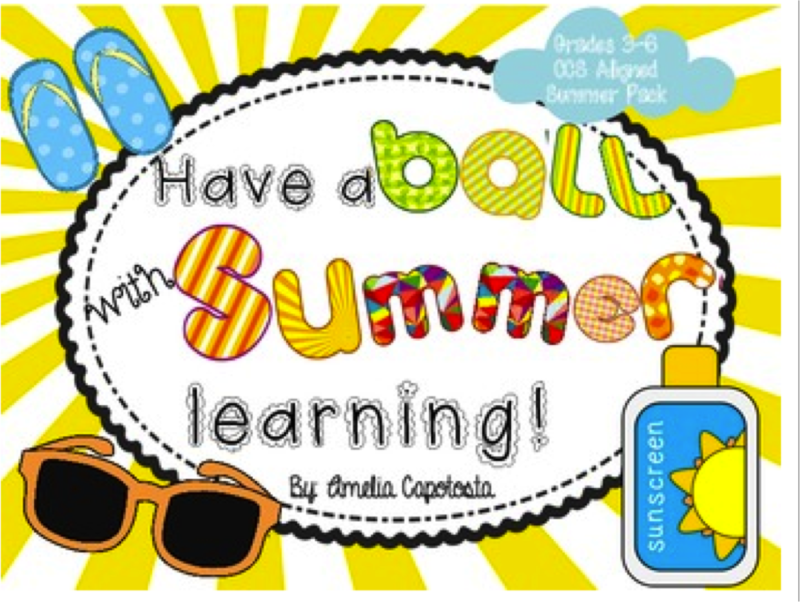 My students love figurative language, so why not review it with a fun, summer-themed game? 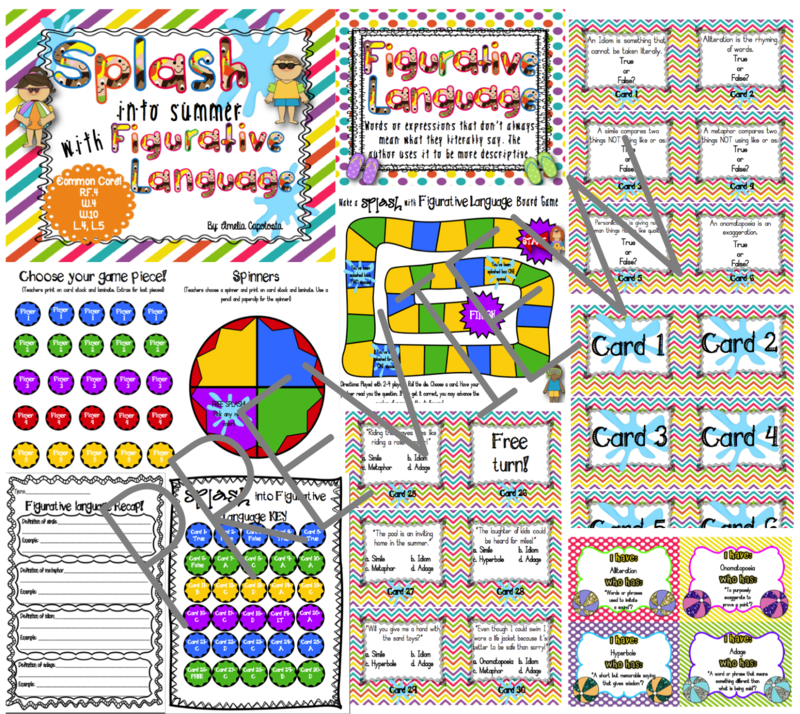 We "Splash into Summer with Figurative Language." We will be playing this on Tuesday during ELA time. 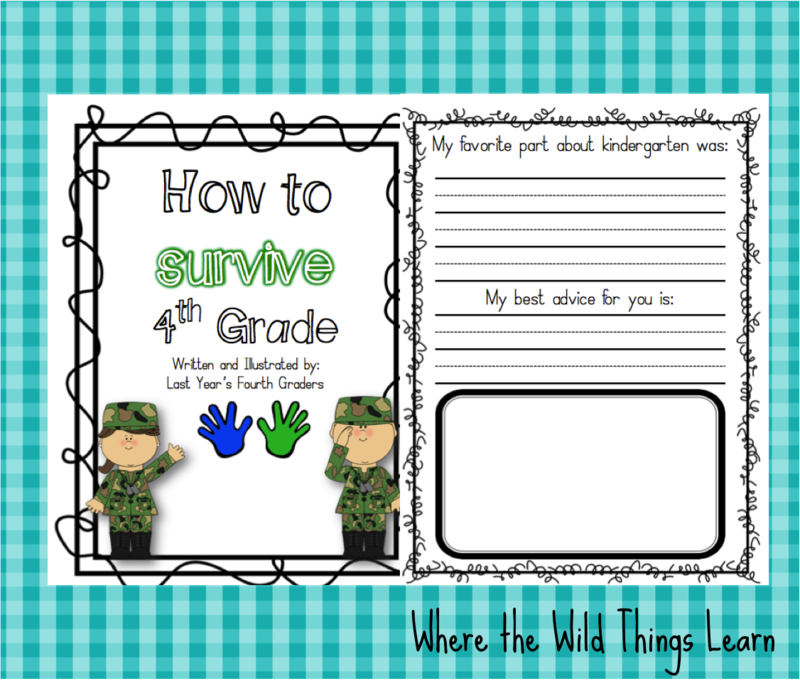 We spend lots of time talking about our year, and students each write a page in our "How to Survive 4th Grade" book. I bind it to read during the first week of school to next year's 4th graders! 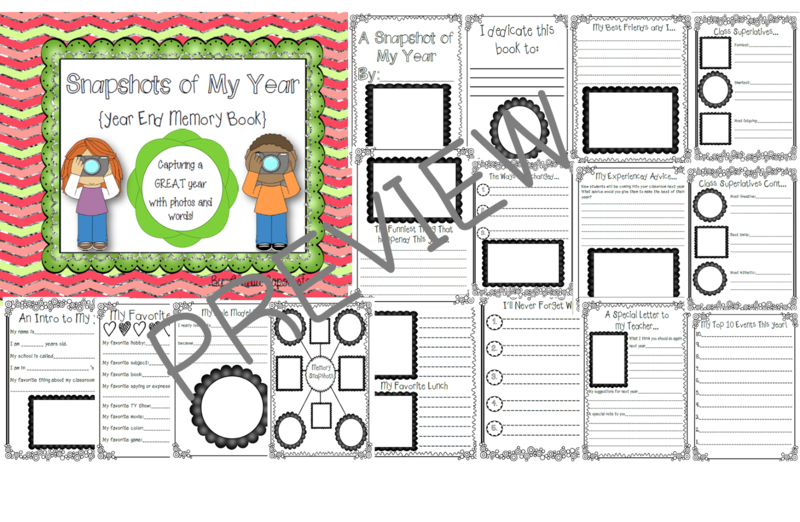 :) This is a freebie in my store! 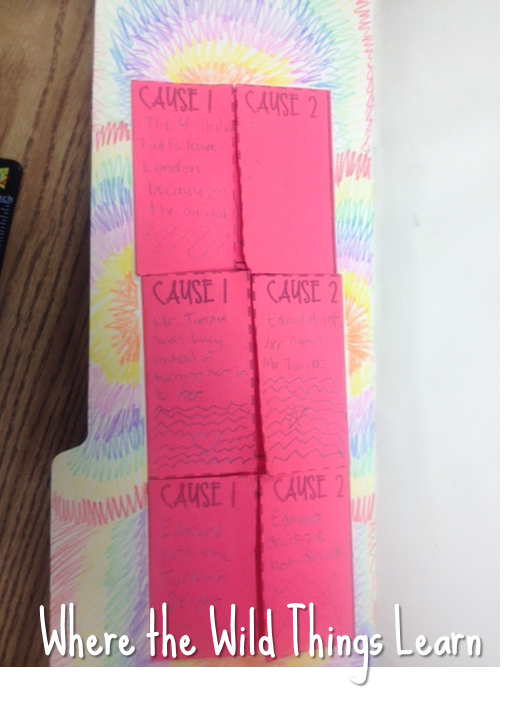 Last year, while making Mothers Day crafts, one of my students asked why we never did anything for our Fathers, and I thought.. you are TOTALLY right! 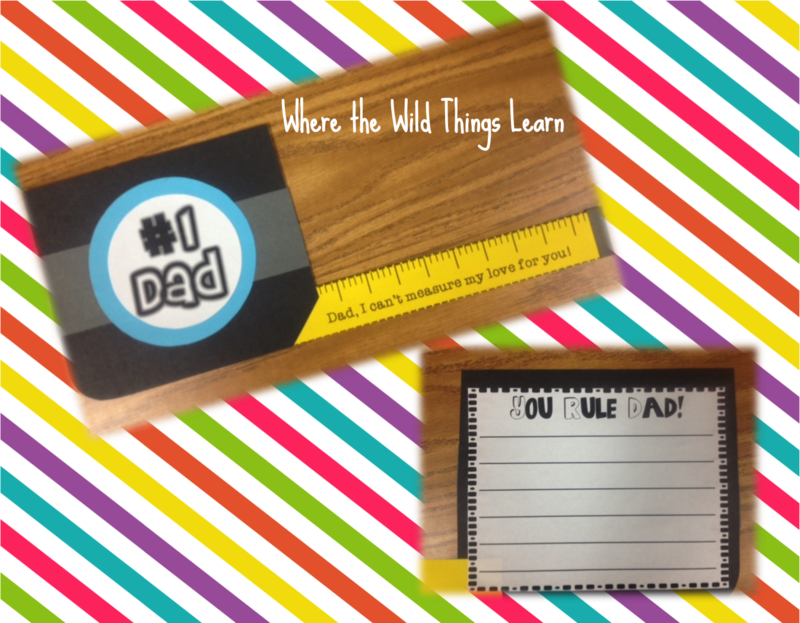 So I whipped up this little craftivity and we make them during the last week to save for Father's Day. I love how they turn out! And that's all, folks! WHEW! That post made me exhausted just writing it. It is definitely a long couple of weeks, but we get so much learning and FUN out of our time together! 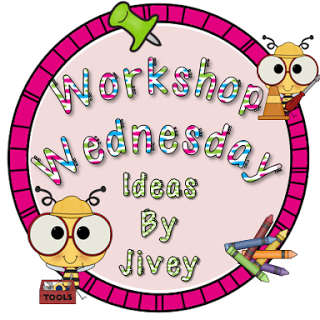 :) I hope this has inspired you to do some of these fun things with your kiddos, too!